Every now and then we find an incredible deal online, and it would be criminal not to share it with our readers. With the Updato Deal of the Day segment, we hope to help you find Android devices and accessories you have been looking for, at a price that is too good to let go. For today, Motorola is giving away its running flagship, Moto Z with an early season discount of $200. If you have been looking to get your hands on the thinnest premium Android smartphone ever made, getting Moto Z 64GB Unlocked for $499 might be your best chance. Moto Z was released in September with much hype, sporting the best specifications on the chart in the year 2016. 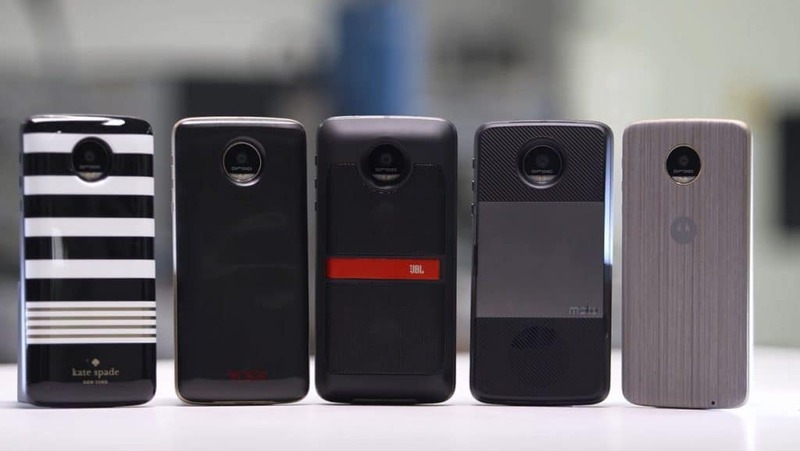 One of the biggest attractions of the device is the Moto Mods feature, which allows you to enhance your experience with add-on accessories like a movie projector, power bank case and more. Amazon is the exclusive online partner on this Moto Z deal, and the only color they have available is Lunar Grey. The item is currently in stock and ready for delivery before Christmas, while Amazon Prime users can order right away and avail One-Day Shipping. The latest flagship from Lenovo-owned Motorola is Moto Z, which sports a crisp and clear 5.5” AMOLED display with a QHD resolution of 2560 X 1440. Sporting the powerful Snapdragon 820 SoC at 2.2 GHz Quad-core CPU and Adreno 530 GPU, Moto Z is available in 32/64 GB with 4GB of RAM. Moto Z comes with a 2600 mAh battery with up to 30 hours of runtime, along with TurboPower for 8 hours of charge in just 15 minutes of charging. The Moto Z model on sale can be used with all unlocked and compatible networks carriers such as T-Mobile and AT&T.